Repeated image of Peter Christen Asbjørnsen. 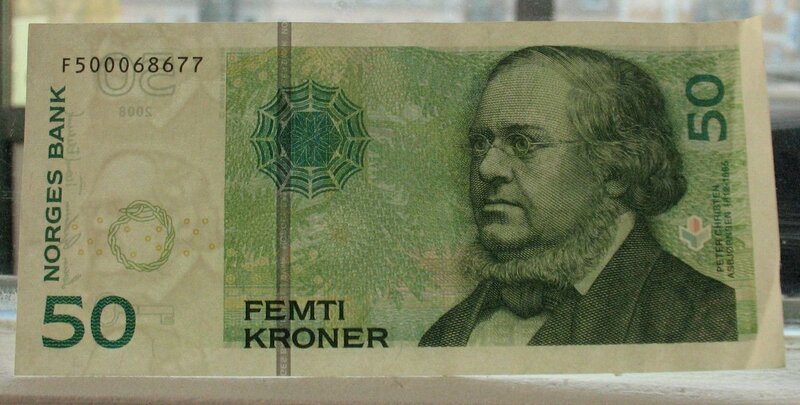 The engraving on banknote is made after this photo of Peter Christen Asbjørnsen, approx. of 1865. 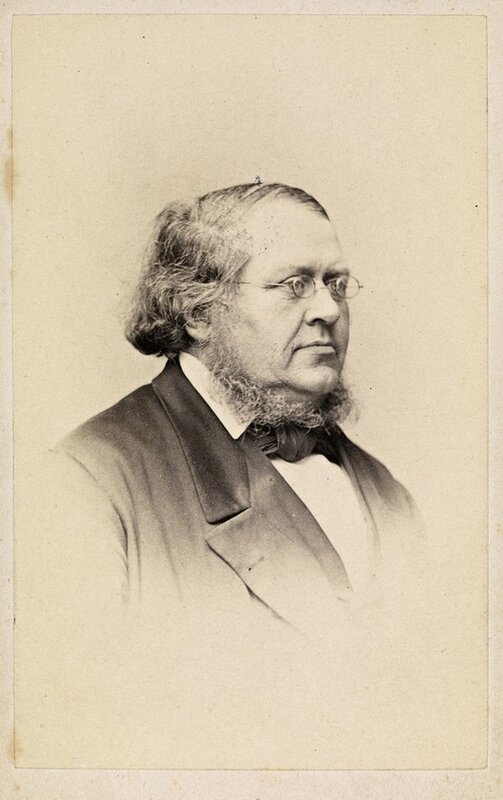 Peter Christen Asbjørnsen (15 January 1812 – 6 January 1885) was a Norwegian writer and scholar. He and Jørgen Engebretsen Moe were collectors of Norwegian folklore. They were so closely united in their lives' work that their folk tale collections are commonly mentioned only as "Asbjørnsen and Moe". Peter Christen Asbjørnsen was born in Christiania (now Oslo), Norway. He was descended from a family originating at Otta in the traditional district of Gudbrandsdal, which is believed to have come to an end with his death. He became a student at the University of Oslo in 1833, but as early as 1832, in his twentieth year, he had begun to collect and write down fairy tales and legends. He later walked on foot the length and breadth of Norway, adding to his stories. Jørgen Moe, who was born in Ringerike, met Asbjørnsen first when he was fourteen years old, while they were both attending high school at Norderhov Rectory. The building is today the site of Ringerikes Museum, the local museum for the Ringerike region, and contains memorabilia from both Asbjørnsen and Moe. They developed a lifelong friendship. In 1834 Asbjørnsen discovered that Moe had started independently on a search for the relics of national folklore; the friends eagerly compared their results, and determined for the future to work in concert. Asbjørnsen became by profession a zoologist, and with the aid of the University of Oslo made a series of investigative voyages along the coasts of Norway, particularly in the Hardangerfjord. He worked with two of the most famous marine biologists of their time: Michael Sars and his son Georg Ossian Sars. Moe, meanwhile, having left the University of Oslo in 1839, had devoted himself to the study of theology, and was making a living as a tutor in Christiania. In his holidays he wandered through the mountains, in the most remote districts, collecting stories. In these years he laid the foundation for the great literary its output. In 1842-1843 the first installment of their work appeared, under the title of Norske Folkeeventyr (Norwegian Folk Tales), which was received at once all over Europe as a most valuable contribution to comparative mythology as well as literature. A second volume was published in 1844 and a new collection in 1871. Many of the Folkeeventyr were translated into English by George Dasent in 1859. In 1845 Asbjørnsen also published, without help from Moe, a collection of Norwegian fairy tales (Huldre-Eventyr og Folkesagn). In 1856 Asbjørnsen called attention to the deforestation of Norway, and he induced the government to act on this issue. He was appointed forest-master, and was sent through Norway to examine in various countries of the north of Europe the methods observed for the preservation of timber. In 1876, he retired from these duties with a pension. In 1879 he sold his large collection of zoological specimens to the Natural History Museum (Ireland) for £300. This collection includes specimens of Brisinga endecacnemos, possibly collected during his biological survey of the Hardangerfjord in the 1850s. He was made a member of the Royal Norwegian Society of Sciences in Trondheim. He died in Christiania in 1885. It was usually said of their work that the vigour came from Asbjørnsen and the charm from Moe, but the fact seems to be that from the long habit of writing in unison they had come to adopt almost precisely identical modes of literary expression. The motif on the obverse is a portrait of Peter Christen Asbjørnsen. The background is based on Asbjørnsen's story "A summer night in Krogskogen" and also creates associations with his profession as a forester. The 12-sided form is intaglio, encircles a hexagon resembling a spider web and encompasses a number of security features. Denominations in numerals are in top left corner and lower right. In words at the bottom. 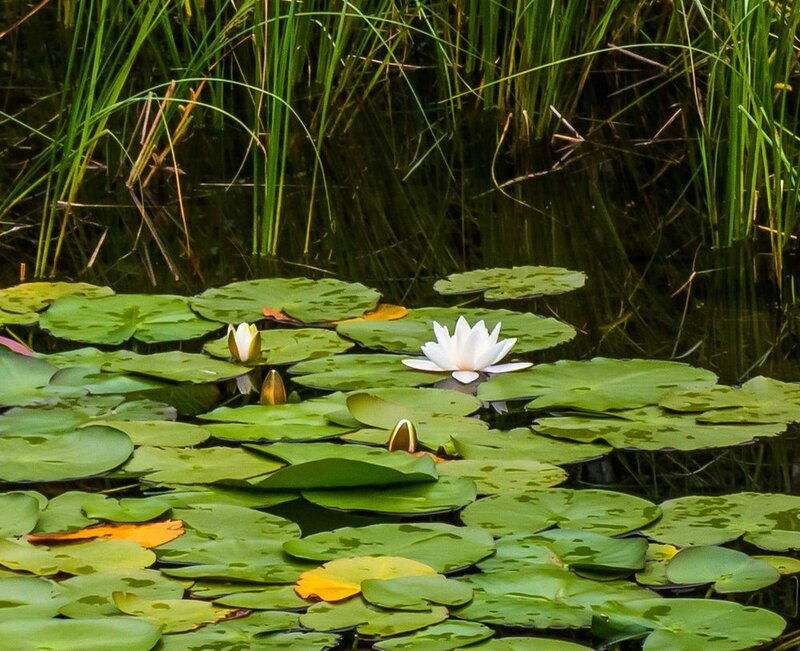 The pond with water lilies, also flying dragonfly. The reverse is also based on "A summer night in Krogskogen". Many of us have experienced the stillness of a woodland tarn and the feeling of magic as we glance into the water and see the reflections of clouds overhead, hear the buzzing of a dragonfly and perceive the fragrance of flowering water lilies. Many Norwegian artists have been inspired by this experience. 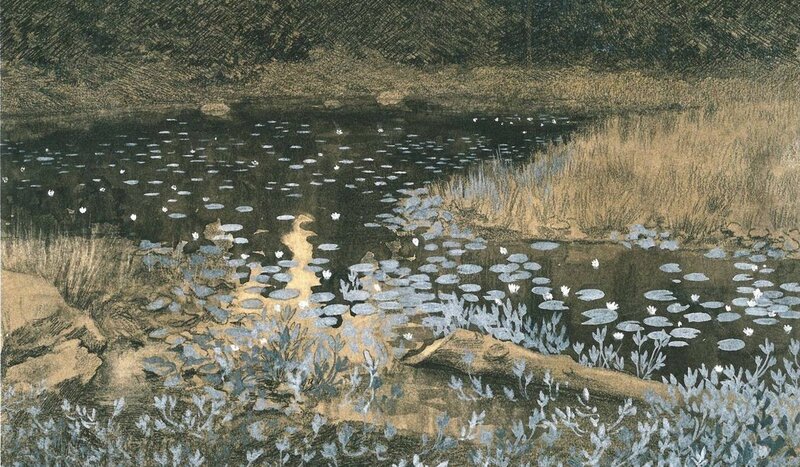 Theodor Kittelsen's drawings of this motif are the most famous. In 1824 and in order to help him concentrate on his studies, twelve-year-old Per Christen Asbjørnsen was sent from Christiania to a country boarding school run by Mr Støren, the vicar of Stubdal. In 'A Summer Night in Krogskogen', one of the collection of Norwegian folk tales, he tells how, after he'd been there two years, he chose a different way to go back to school after a brief stay at home. The collection was originally published, by Asbjørnsen and his school friend Jørgen Moe, between 1841 and 1844, but became really famous when the artists of the Norwegian romantic school illustrated it for an edition in 1878. "A Summer Night in Krogskogen" is a local tale that has not previously been published in English. 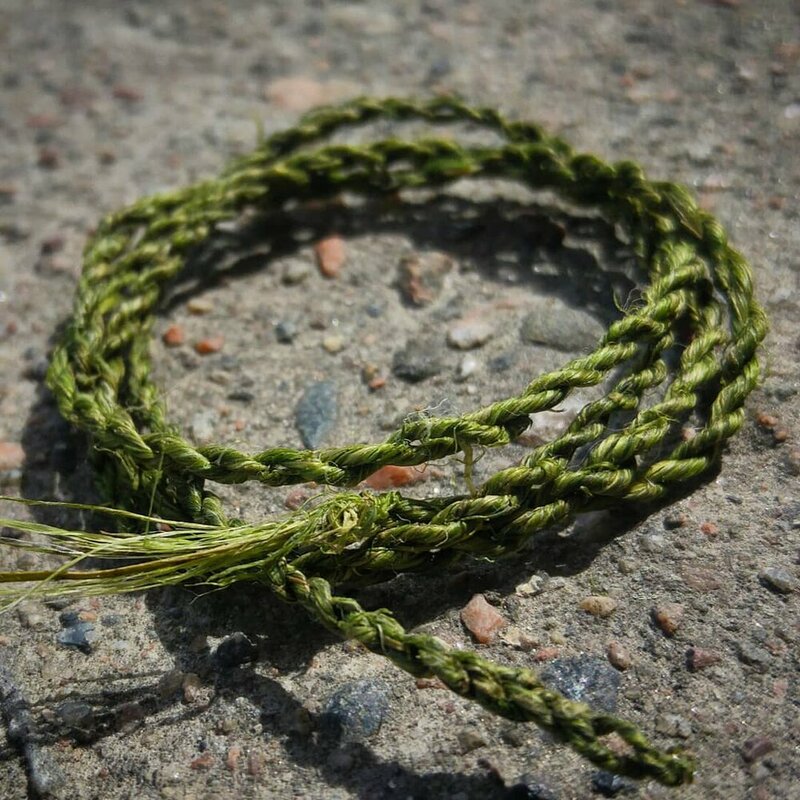 The Friends of the Lysaker River Basin present it to the reader as a taste of the folklore of the woodcutting era in the Basin that prevailed from the 1700's until the 1940's. It can be said without exaggeration that there is a collection of folk tales in Norway in every home, in every family. Little Norwegians, having barely learned to read, take colorful volumes from the shelf, on the pages of which they will meet with many amusing characters - baby violinist Frick, a silly Gubrand from the hillsides, a terrible-looking but stupid troll who can be easily outwitted, and many, many others forever become their good acquaintances. Growing up, the children again and again return to these books, and even as adults, they are ready again, as in childhood, to join the wonderful world created by the imagination of the people. But it was not always so. Previously, when such publications did not exist, Norwegian folklore existed in oral retellings. Tales and legends, traditions, ritual verses and songs were passed from mouth to mouth, from generation to generation. Both adults and children especially loved Christmas stories. On Christmas evenings, somewhere on a farm, numerous relatives gathered in a large room in front of a brightly burning hearth, and older people began to tell stories about ghosts and wood goblins, about swamp monsters and trolls. It was scary to listen to them, but excitingly interesting. At the beginning of the last century, guests often came from far away to the farmsteads. It was a middle-aged man, in a dress of urban cut. He sat quietly on the side. On the table in front of him lay an unusual leather folder-briefcase with writing materials. There was also a stack of clean paper. A man, just like children, tried not to miss a single word and carefully recorded what he heard. It was the famous collector of fairy tales, folklorist Peter Kristen Asbjørnsen. He was born in 1812, in Christiania. When he was a child, roving artisans who came to the capital to earn money often appeared in the house of his parents. In the evenings, they told fairy tales and stories heard on their home side. Among households, the most enthusiastic listener was little Peter Kristen, the Boy grew up, became a teacher, a journalist, a specialist in the natural sciences. He published several books on nature. But the love of fairy tales, which originated in childhood, did not leave him. And he began to collect and write down folk tales and legends — he traveled all over Norway, traveled to the most remote forest farms, climbed high-altitude pastures, where cattle were driven out for the whole summer. The girls-cowgirls and shepherds, after their daily labor, gathered around the fire and told tales to each other until late at night. Immediately was Asbjørnsen with his unchanged folder-portfolio. He listened and wrote down, not knowing fatigue. Soon he infected with his enthusiasm a longtime friend Jorgen Mu. They met as teenagers, became friends and, according to ancient custom, sealed their friendship with blood. Jørgen Mu was a year younger than Asbjørsen. At one time he too was a teacher, and then he became a scholar-theologian, pastor, bishop. Asbjørnsen and Mu were not only friends, but also associates, attracted by a common cause, which gradually became the goal and meaning of their life. They lived in the shznyh ends of the country, but constantly corresponded and visited each other. Side by side, they walked the whole course of their lives and passed away almost simultaneously. Jorgen Mu died in 1882, Asbjørnsen outlived his friend by only three years. The most cherished dream of folklorists was the publication of tales collected and processed by them. And finally, at the very beginning of the forties, the first edition was published. It was a thin, soft-bound booklet, more like a student's legbook. There were only 15 fairy tales in it. Now this edition is a bibliographic rarity. But already in 1841-44, as many as two volumes of Norwegian Folk Tales were published. Asbjørnsen and Mu, processing the tales, sought to preserve their original beauty and originality. Indeed, in these tales lives the soul of the people, its character, its customs and rituals. In the 1980s, a large edition of fairy tales was published, in which illustrations first appeared. Asbjørnsen and Mu attracted the best artists in Norway to create illustrations. The greatest fame illustrators have won artists Erik Werensjold and Theodor Kittelsen. In preparation for work, they traveled across the country in search of material. Thanks to this, amazingly beautiful landscapes of various parts of Norway are captured on the pages of collections. The heroes of fairy tales in the image of Vrenschjold appeared as living, and Kittelsen was especially successful in fantastic characters that do not exist in reality. He was endowed with a rich imagination and sense of humor. More than a hundred years have passed since the great storytellers Asbjørnsen and Mu lived and worked in Norway. Since then, their collections of folk tales have been reprinted in Norway countless times. Tales from these collections were translated into many languages ​​of the world. There are them in Russian translations, and you too can get to know them. And you will certainly experience the same feelings of joy and delight that your peers in Norway have experienced and are experiencing. The key in the lower right-hand corner is a symbol used by Asbjørnsen in the fairytale "The storehouse key on the distaff" where the farm boy cunningly exposes the arrogance and deceit of the couple whom he had thought were to be his in-laws. By extension the key may also symbolise an openness to contact with fairies and goblins. Denominations in numerals are in lower left and top right corners. In words at the bottom.